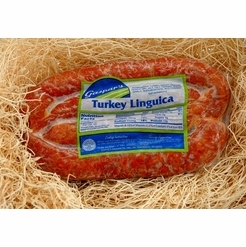 Home / Pantry Items / Specialty Foods / Gluten Free / Gluten Free Meats /Refrigerated Foods / Linguica Products / Gaspars's Bite Size Linguica 1 lb. Home / Specialty Grocery / Specialty Foods / Gluten Free / Gluten Free Meats /Refrigerated Foods / Linguica Products / Gaspars's Bite Size Linguica 1 lb. Home / Pantry Items / Meats & Seafood / Portuguese Meats & Seafood / Linguica Products / Gaspars's Bite Size Linguica 1 lb. Home / New England Classics / Meats & Seafood / Portuguese Meats & Seafood / Linguica Products / Gaspars's Bite Size Linguica 1 lb. Home / Hot GIFT Ideas / Gifts For Him / Meats & Seafood / Portuguese Meats & Seafood / Linguica Products / Gaspars's Bite Size Linguica 1 lb. Home / Foods of New England / Meats & Seafood / Portuguese Meats & Seafood / Linguica Products / Gaspars's Bite Size Linguica 1 lb. Home / Meats & Seafood / Portuguese Meats & Seafood / Linguica Products / Gaspars's Bite Size Linguica 1 lb. Home / Specialty Grocery / Meats & Seafood / Portuguese Meats & Seafood / Linguica Products / Gaspars's Bite Size Linguica 1 lb. Home / Hot GIFT Ideas / Gifts For Him / Party Favorites / Meats & Seafood / Portuguese Meats & Seafood / Linguica Products / Gaspars's Bite Size Linguica 1 lb. 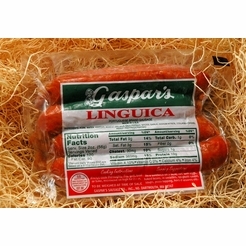 Home / Local Portuguese Foods / Portuguese Meats & Seafood / Linguica Products / Gaspars's Bite Size Linguica 1 lb. Home / Pantry Items / Global Favorites / Local Portuguese Foods / Portuguese Meats & Seafood / Linguica Products / Gaspars's Bite Size Linguica 1 lb. Home / Specialty Grocery / Global Favorites / Local Portuguese Foods / Portuguese Meats & Seafood / Linguica Products / Gaspars's Bite Size Linguica 1 lb. Home / Pantry Items / Hometown Food Favorites / Global Favorites / Local Portuguese Foods / Portuguese Meats & Seafood / Linguica Products / Gaspars's Bite Size Linguica 1 lb. Home / New England Classics / Hometown Food Favorites / Global Favorites / Local Portuguese Foods / Portuguese Meats & Seafood / Linguica Products / Gaspars's Bite Size Linguica 1 lb. Home / Foods of New England / Hometown Food Favorites / Global Favorites / Local Portuguese Foods / Portuguese Meats & Seafood / Linguica Products / Gaspars's Bite Size Linguica 1 lb. Home / Specialty Grocery / Hometown Food Favorites / Global Favorites / Local Portuguese Foods / Portuguese Meats & Seafood / Linguica Products / Gaspars's Bite Size Linguica 1 lb. 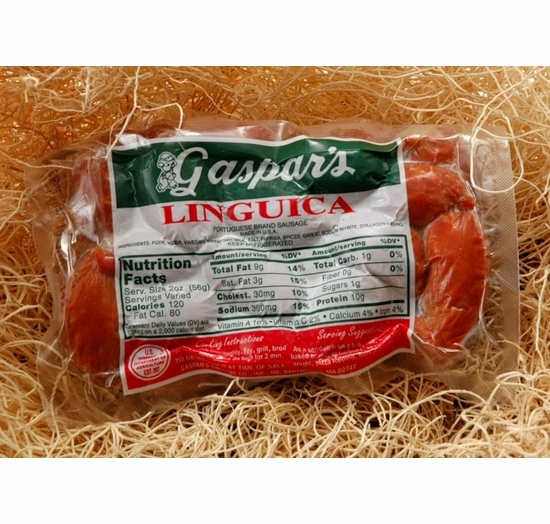 Home / Foods of New England / Local Portuguese Foods / Portuguese Meats & Seafood / Linguica Products / Gaspars's Bite Size Linguica 1 lb. Home / Local Portuguese Foods / Portuguese Brands / Gaspar's Portuguese Meats / Linguica Products / Gaspars's Bite Size Linguica 1 lb. Home / Pantry Items / Global Favorites / Local Portuguese Foods / Portuguese Brands / Gaspar's Portuguese Meats / Linguica Products / Gaspars's Bite Size Linguica 1 lb. Home / Specialty Grocery / Global Favorites / Local Portuguese Foods / Portuguese Brands / Gaspar's Portuguese Meats / Linguica Products / Gaspars's Bite Size Linguica 1 lb. Home / Pantry Items / Hometown Food Favorites / Global Favorites / Local Portuguese Foods / Portuguese Brands / Gaspar's Portuguese Meats / Linguica Products / Gaspars's Bite Size Linguica 1 lb. Home / New England Classics / Hometown Food Favorites / Global Favorites / Local Portuguese Foods / Portuguese Brands / Gaspar's Portuguese Meats / Linguica Products / Gaspars's Bite Size Linguica 1 lb. Home / Foods of New England / Hometown Food Favorites / Global Favorites / Local Portuguese Foods / Portuguese Brands / Gaspar's Portuguese Meats / Linguica Products / Gaspars's Bite Size Linguica 1 lb. Home / Specialty Grocery / Hometown Food Favorites / Global Favorites / Local Portuguese Foods / Portuguese Brands / Gaspar's Portuguese Meats / Linguica Products / Gaspars's Bite Size Linguica 1 lb. 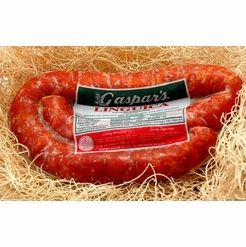 Home / Foods of New England / Local Portuguese Foods / Portuguese Brands / Gaspar's Portuguese Meats / Linguica Products / Gaspars's Bite Size Linguica 1 lb. Home / BBQ & Grilling / Meats & Breads for Grilling / Gaspar's Portuguese Meats / Linguica Products / Gaspars's Bite Size Linguica 1 lb. Home / Hot GIFT Ideas / BBQ & Grilling / Meats & Breads for Grilling / Gaspar's Portuguese Meats / Linguica Products / Gaspars's Bite Size Linguica 1 lb. Home / Hot GIFT Ideas / Gifts For Him / Party Favorites / BBQ & Grilling / Meats & Breads for Grilling / Gaspar's Portuguese Meats / Linguica Products / Gaspars's Bite Size Linguica 1 lb. Home / New England Classics / Clambake & Seafood / Meats & Breads for Grilling / Gaspar's Portuguese Meats / Linguica Products / Gaspars's Bite Size Linguica 1 lb. Home / Foods of New England / Clambake & Seafood / Meats & Breads for Grilling / Gaspar's Portuguese Meats / Linguica Products / Gaspars's Bite Size Linguica 1 lb. Home / BBQ & Grilling / Clambake & Seafood / Meats & Breads for Grilling / Gaspar's Portuguese Meats / Linguica Products / Gaspars's Bite Size Linguica 1 lb. Home / Hot GIFT Ideas / BBQ & Grilling / Clambake & Seafood / Meats & Breads for Grilling / Gaspar's Portuguese Meats / Linguica Products / Gaspars's Bite Size Linguica 1 lb. Home / Hot GIFT Ideas / Gifts For Him / Party Favorites / BBQ & Grilling / Clambake & Seafood / Meats & Breads for Grilling / Gaspar's Portuguese Meats / Linguica Products / Gaspars's Bite Size Linguica 1 lb. Home / Pantry Items / Hometown Food Favorites / Meats & Breads for Grilling / Gaspar's Portuguese Meats / Linguica Products / Gaspars's Bite Size Linguica 1 lb. Home / New England Classics / Hometown Food Favorites / Meats & Breads for Grilling / Gaspar's Portuguese Meats / Linguica Products / Gaspars's Bite Size Linguica 1 lb. Home / Foods of New England / Hometown Food Favorites / Meats & Breads for Grilling / Gaspar's Portuguese Meats / Linguica Products / Gaspars's Bite Size Linguica 1 lb. Home / Specialty Grocery / Hometown Food Favorites / Meats & Breads for Grilling / Gaspar's Portuguese Meats / Linguica Products / Gaspars's Bite Size Linguica 1 lb. Home / Local Portuguese Foods / Hometown Food Favorites / Meats & Breads for Grilling / Gaspar's Portuguese Meats / Linguica Products / Gaspars's Bite Size Linguica 1 lb. Home / Pantry Items / Global Favorites / Local Portuguese Foods / Hometown Food Favorites / Meats & Breads for Grilling / Gaspar's Portuguese Meats / Linguica Products / Gaspars's Bite Size Linguica 1 lb. Home / Specialty Grocery / Global Favorites / Local Portuguese Foods / Hometown Food Favorites / Meats & Breads for Grilling / Gaspar's Portuguese Meats / Linguica Products / Gaspars's Bite Size Linguica 1 lb. Home / Foods of New England / Local Portuguese Foods / Hometown Food Favorites / Meats & Breads for Grilling / Gaspar's Portuguese Meats / Linguica Products / Gaspars's Bite Size Linguica 1 lb. Home / Pantry Items / Hometown Food Favorites / Gaspar's Portuguese Meats / Linguica Products / Gaspars's Bite Size Linguica 1 lb. 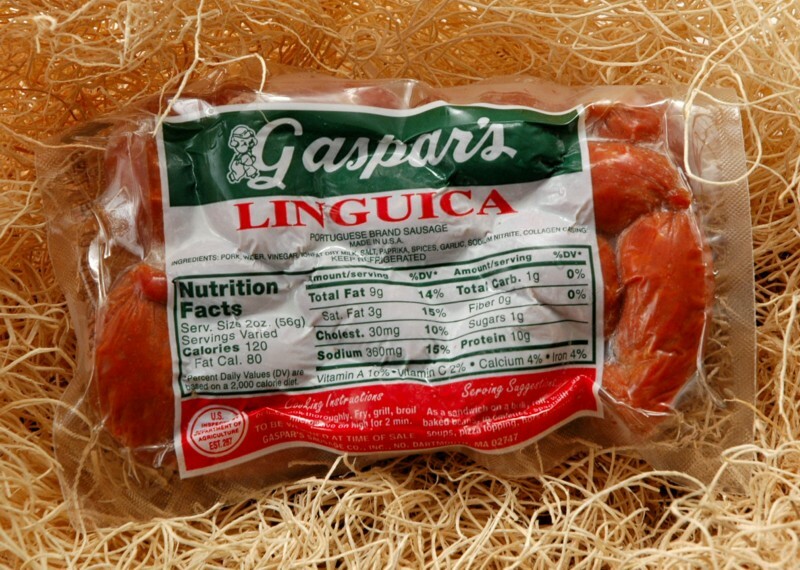 Home / New England Classics / Hometown Food Favorites / Gaspar's Portuguese Meats / Linguica Products / Gaspars's Bite Size Linguica 1 lb. 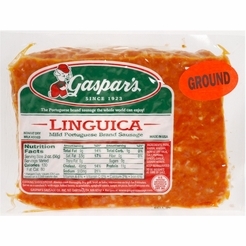 Home / Foods of New England / Hometown Food Favorites / Gaspar's Portuguese Meats / Linguica Products / Gaspars's Bite Size Linguica 1 lb. Home / Specialty Grocery / Hometown Food Favorites / Gaspar's Portuguese Meats / Linguica Products / Gaspars's Bite Size Linguica 1 lb. Home / Local Portuguese Foods / Hometown Food Favorites / Gaspar's Portuguese Meats / Linguica Products / Gaspars's Bite Size Linguica 1 lb. Home / Pantry Items / Global Favorites / Local Portuguese Foods / Hometown Food Favorites / Gaspar's Portuguese Meats / Linguica Products / Gaspars's Bite Size Linguica 1 lb. Home / Specialty Grocery / Global Favorites / Local Portuguese Foods / Hometown Food Favorites / Gaspar's Portuguese Meats / Linguica Products / Gaspars's Bite Size Linguica 1 lb. Home / Foods of New England / Local Portuguese Foods / Hometown Food Favorites / Gaspar's Portuguese Meats / Linguica Products / Gaspars's Bite Size Linguica 1 lb. Home / Popular Brands / Gaspar's Portuguese Meats / Linguica Products / Gaspars's Bite Size Linguica 1 lb. 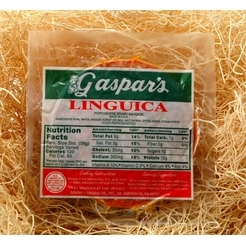 Home / Hot GIFT Ideas / Holiday Entertaining / Gaspar's Portuguese Meats / Linguica Products / Gaspars's Bite Size Linguica 1 lb. Home / Foods of New England / Brands (New England Favorites) / Gaspar's Portuguese Meats / Linguica Products / Gaspars's Bite Size Linguica 1 lb. Home / Pantry Items / Meats & Seafood / Meat & Refrigerated Food Brands / Gaspar's Portuguese Meats / Linguica Products / Gaspars's Bite Size Linguica 1 lb. Home / New England Classics / Meats & Seafood / Meat & Refrigerated Food Brands / Gaspar's Portuguese Meats / Linguica Products / Gaspars's Bite Size Linguica 1 lb. Home / Hot GIFT Ideas / Gifts For Him / Meats & Seafood / Meat & Refrigerated Food Brands / Gaspar's Portuguese Meats / Linguica Products / Gaspars's Bite Size Linguica 1 lb. Home / Foods of New England / Meats & Seafood / Meat & Refrigerated Food Brands / Gaspar's Portuguese Meats / Linguica Products / Gaspars's Bite Size Linguica 1 lb. Home / Meats & Seafood / Meat & Refrigerated Food Brands / Gaspar's Portuguese Meats / Linguica Products / Gaspars's Bite Size Linguica 1 lb. Home / Specialty Grocery / Meats & Seafood / Meat & Refrigerated Food Brands / Gaspar's Portuguese Meats / Linguica Products / Gaspars's Bite Size Linguica 1 lb. Home / Hot GIFT Ideas / Gifts For Him / Party Favorites / Meats & Seafood / Meat & Refrigerated Food Brands / Gaspar's Portuguese Meats / Linguica Products / Gaspars's Bite Size Linguica 1 lb. A Portuguese sausage that is mild, lean, and full of spices. These spices are a secret blend (over 100 years old) and when the meat is slowly smoked and cooked in a smoke house... you can imagine the delicious taste of the final product!!! These sausages are great for sandwiches, chili, stuffing, pizza toppings, or on the grill. Linguica is approximately one pound. Pork, water, vinegar, nonfat dry milk, salt, paprika, spices, garlic, sodium nitrite.